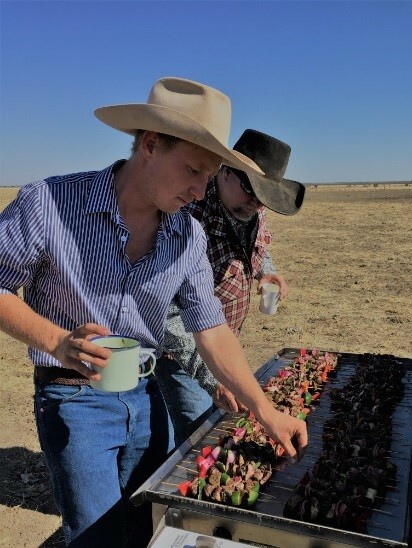 With an attendance of close to 30 people, a mix of pastoralists, researchers and interest groups gathered at Alexandria Station last month for the annual Barkly Landcare field day. Figure 4 Attendees spent the first session of the field day in the paddock. “Conservation within the Piosphere” was the topic of discussion this year and as defined by Lange in 1969; Piosphere is an indicator of the localized impact of grazing on vegetation and soils. In the Barkly, our members experience constant changes around water points. This event was aimed at addressing these issues, providing steps for solutions and sharing experiences from pastoralists who have developed their properties to conserve areas around waters. 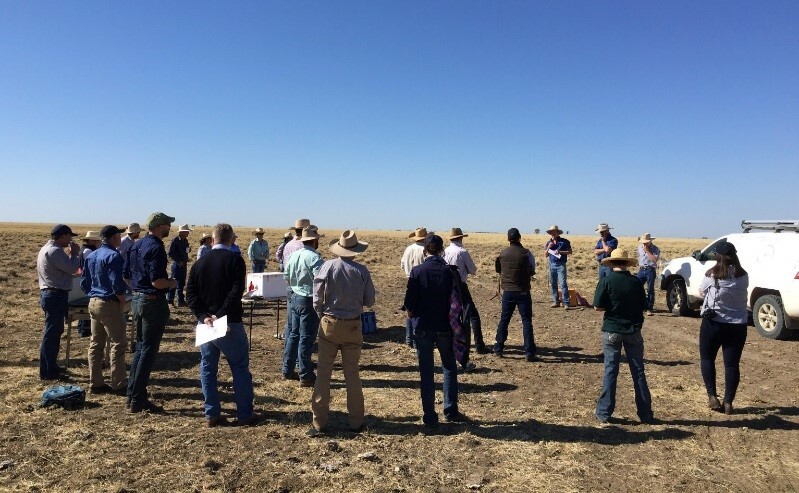 The field day at Alexandria Station has built and shared on-ground knowledge. Exploring new technologies like biomass mapping and understanding ecological changes, weed encroachment and pasture and soil conservation were key areas addressed on the day. We had the best kebabs ever for smoko in the paddock during session one at Nose Peg Bore! Barkly Landcare would like to acknowledge Meat & Livestock Australia for sponsoring the event and Tim and Ruth Milne and all the staff at Alexandria Station for hosting the field day and contributing towards the success of the day. Thank you to all our presenters, guests and members for making the trip out to Alexandria Station.